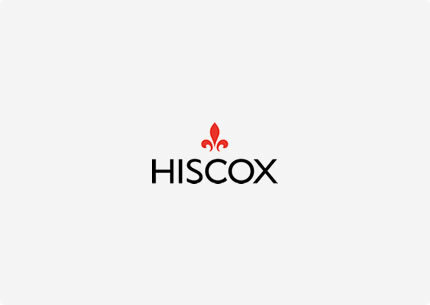 Hiscox is a global specialist insurer, headquartered in Bermuda, with roots dating back to 1901. We are not a traditional insurer. We sell specific types of insurance where we have expertise, often focusing on areas other insurers find too complex to insure. By challenging convention, we offer market-leading products and services to a range of US businesses. We have a strong international presence, with offices in 11 countries. We also write a range of insurance through the Lloyd’s of London insurance market. Through Lloyd’s of London we have been insuring US businesses for over 40 years. We operate in all US states and the District of Columbia, and offer a range of specialty insurance products through US-based brokers as well as insurance for small businesses direct, online, and in real-time. We offer insurance on a surplus basis through Lloyd’s and on an admitted basis through Chicago-based Hiscox Insurance Company Inc., which is rated ‘A’ (Excellent) by A.M. Best Company. The fundamental principles we believe in and the qualities for which we are known are: Courage – do the right thing however hard; Quality – good enough is not enough; Integrity – true to our word; Excellence in execution – see it through, thoroughly; Human – fair, firm and inclusive. Reproduced with the permission of Hiscox. Copyright Hiscox. All rights reserved.